SYRACUSE — Paul F. Meredith, 37, North Fourth of July Avenue, Syracuse, was not injured when his PT Cruiser ended up hitting a large tree stump. But a passenger in his vehicle, Trina L. Hamrick, 39, North Fourth of July Avenue, Syracuse, was transported to IU Health Goshen Hospital for possible abdominal/pelvic injuries. 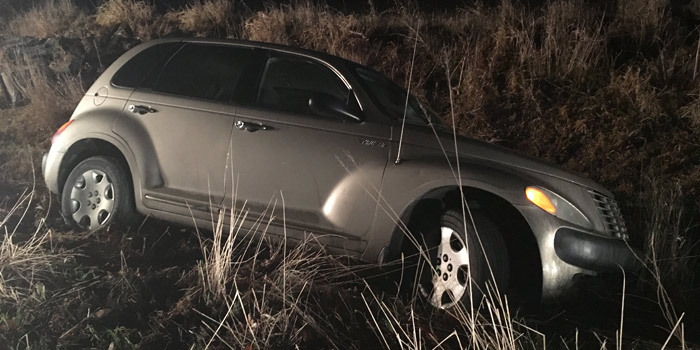 The two were involved in a one-vehicle accident at 10:13 p.m. Monday, Dec. 21, on North CR 1000E, south of East CR 1350N, Syracuse. Meredith told police he was heading south on North CR 1000E, just south of East CR 1350N, when a deer entered the roadway. He attempted to slow his vehicle down by downshifting and breaking, however he began to lose control. His 2003 Chrysler PT Cruiser went off the east side of the roadway, hitting a large tree stump. Both Meredith and Hamrick were wearing seat belts at the time of the accident. Damage was estimated up to $2,500. Turkey Creek Fire Territory Fire and EMS responded along with the Kosciusko County Sheriff’s Department.